Experience the wonders of Africa with loved ones, friends and family on a trip with Lion World Travel. With over 50 years of experience, our team of Africa Specialists will help you create an unforgettable celebration travel experience. Whether you are celebrating an anniversary, a honeymoon, a birthday, or just want to celebrate life, we will take you to Africa in style! Take a look at one of our suggested itineraries or create a custom itinerary to bring your desired African adventure to life. 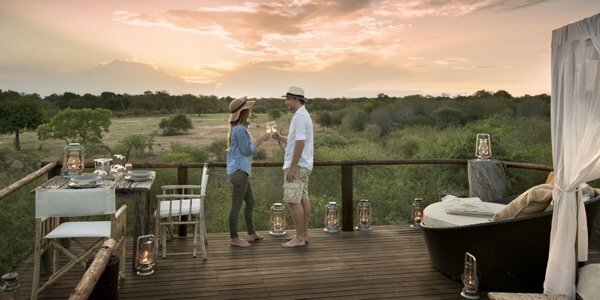 Guests celebrate their honeymoon in a luxury tree house at Lion Sands Game Reserve. Africa is a destination unlike any other. In Africa, you will learn about new cultures, encounter amazing wildlife and be astounded by the people and quality of service. It’s these features and more that make Africa an unforgettable destination, one that is a perfect place to celebrate life. Birthdays, anniversaries, graduations, wedding vow renewals, and honeymoons are just a few of the important milestones that people choose to celebrate in Africa. We also find that people enjoy traveling to Africa with friends and family in small groups with shared interests. 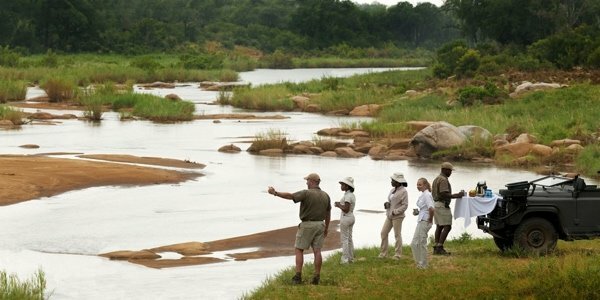 Multigenerational families, travel clubs, photography enthusiasts, religious groups, history and education clubs and corporate groups are all types of small groups that we have assisted in making their African safari dreams come true. Whatever your reason for celebrating in Africa, our team of knowledgeable Africa Specialists will help you craft an incomparable safari vacation. For more information on the benefits of group travel, speak to one of our knowledgeable Africa Specialists by calling us at 1-800-387-2706. Giving the gift of travel is becoming more and more popular, after all “travel is the only thing you buy that makes you richer.” That’s why we’re happy to offer a travel gift registry service to make gifting travel easy and fun. You can set up a travel gift registry with Lion World Travel for any of our trips. Popular types of travel gift registries include honeymoons, birthdays, graduations, retirements, multigenerational travel and travel clubs. How Does The Travel Gift Registry Work? 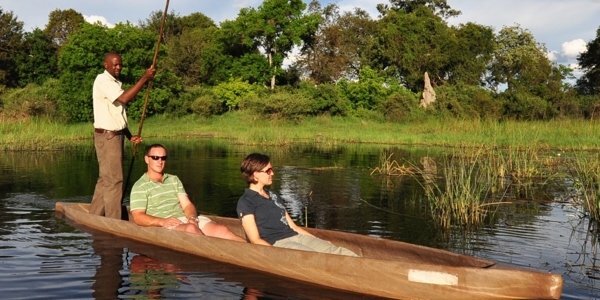 A couple takes a mokoro ride in Botswana. When you contact us to book your celebration trip to Africa, let us know that you would like to create a travel gift registry. 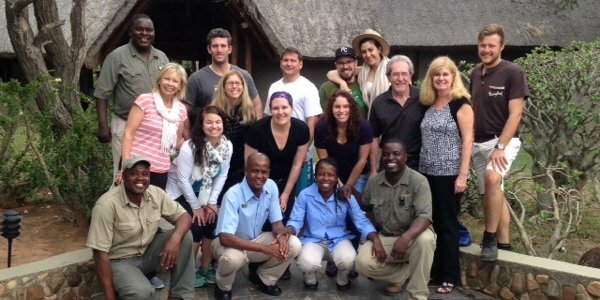 We will set up a unique webpage on lionworldtravel.com that will feature your exciting itinerary, as well as photos of your group and the experiences that await you in Africa. You will then be able to share the URL to your travel gift registry with your friends and family online and over social media to help you raise money for your special trip. For example, if you want to set up a travel gift registry for your honeymoon, you could link directly to your Lion World Travel registry from your wedding website to encourage your wedding guests to contribute to your dream African honeymoon as a wedding gift. Click here to view a sample travel registry. Contact one of our experienced Africa Specialists by calling us at 1-800-387-2706 and let them know you what you are planning to celebrate on your trip to Africa. We will help you craft the African trip of your dreams. A Lion World Travel group celebrates at Jackalberry Lodge in South Africa. I want to contribute to a travel gift registry. How can I do that? Contributing to a travel gift registry is easy! Call us at 1-800-387-2706 and let us know which travel gift registry you would like to contribute to and we’ll walk you through the process to make a payment. I want to set up a way for all members of my group to ask questions about the trip. What’s the best way to do that? We recommend two options: setting up a private Facebook group and/or scheduling a conference call or webinar with an Africa Specialist. Creating a private Facebook group that only includes your group members and your assigned Africa Specialist is a great way to have your group ask questions and get answers so that everyone can see them. We can also schedule a conference call or webinar for your group. This is a simple way for the group to talk directly to your Africa Specialist before departing on your trip. If you’re interested in one or both of these options, speak to your Africa Specialist to get started. Is my celebration travel group eligible for a special group rate? Affordable Africa is what we are all about at Lion World Travel. All of our itineraries are created to be both affordable and luxurious—this combination ensures that we deliver phenomenal experiences to our guests at value-for-money prices. Special group rates may be available for your group depending on the size of your group and your selected itinerary.